Hampton Collection Chrome with Leather Harbor Master Telescope 60"
Floor Standing Bronzed Harbor Master Telescope 60"
Floor Standing Antique Brass Harbor Master Telescope 60"
Floor Standing Oil-Rubbed Bronze-White Leather with Black Stand Harbor Master Telescope 60"
Floor Standing Oil Rubbed Bronze-Leather Harbor Master Telescope 60"
The Floor Standing Chrome Harbor Master Telescope 60" is a beautiful refractor telescope mounted on a durable tripod. 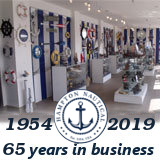 This telescope is a fully functioning nautical masterpiece, adding class and sophistication to any room it graces, with a main scope of solid polished chrome that shines elegantly in the sunlight. Focusing is accomplished by adjusting the eyepiece ring on the telescope tube, with up to 15x magnification. A removable chrome cap, connected by a chain, protects the objective lens when not in use. The tripod stand features smooth, polished black legs, each with solid chrome fittings and a screw release to let you adjust the height. 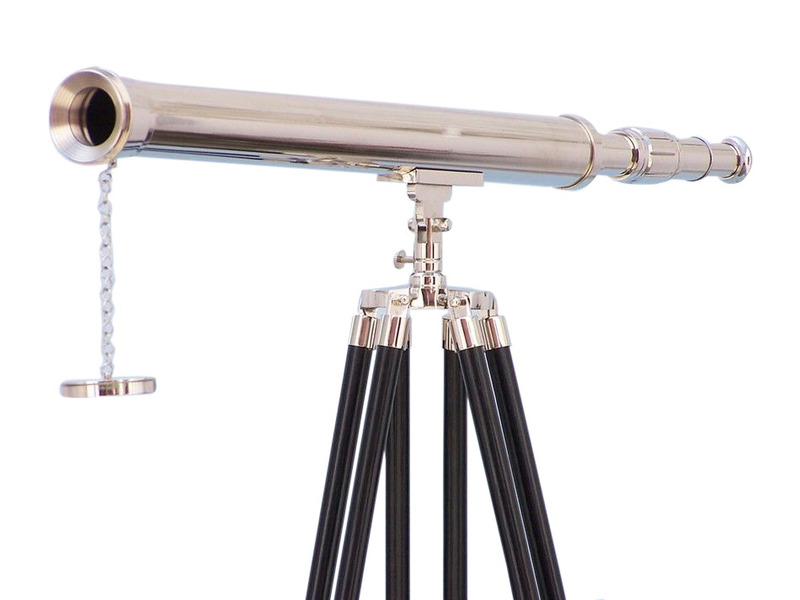 A solid chrome chain holds the three black-painted wooden legs together so the telescope can maintain its position.